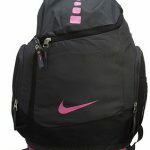 Nike Hoops Elite Max Air Team Backpack is one the best products we tested in general. 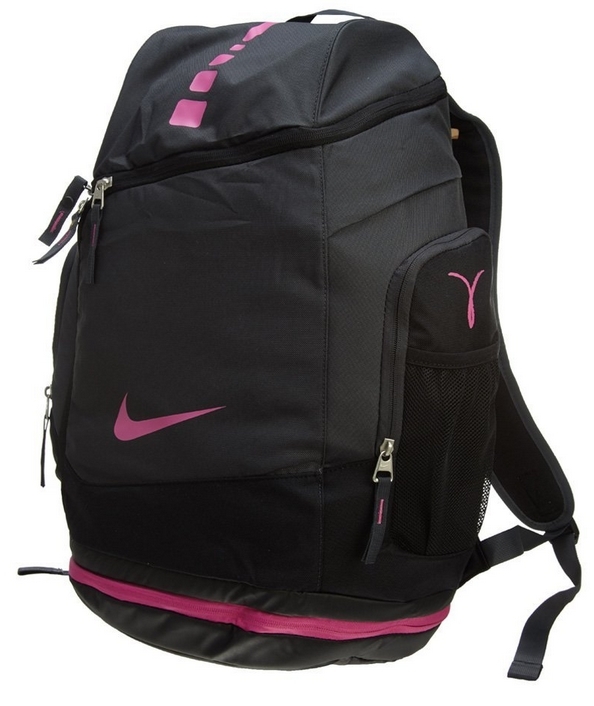 It is a premium built basketball backpack designed to withstand a lot of punishment for years. A two zip-lock system allows you to access the main compartment with ease and side pockets offer a great utility. Whether you are a casual or a professional basketball player, this product will serve your needs without any trouble. Let’s see how it stacks up against the competition in these 4 categories. 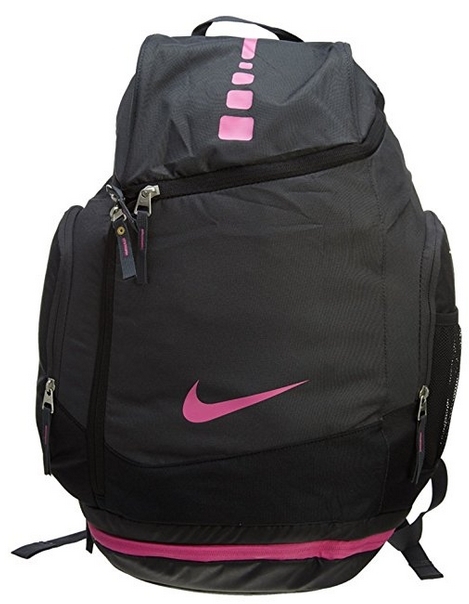 There is plenty of room in Nike Hoops Elite Max Air Team Backpack for everything you might need on the court. It can easily fit a regular sized basketball, a pair of shoes, a couple of towels and spare t-shirts and shorts. And the side pockets can feet a water bottle and other things you might want to bring with you. There is a convenient top pocket for your phone and wallet as well. You can fit a lot of stuff in it and still have more space just in case you need it. A sports bag has to be able to withstand all sorts of punishment an outdoor activity brings with it. This backpack is really well-built using high-quality materials and technology. Water-resistant and durable tarpaulin will keep your gear dry and protected and wide back straps are sturdy enough to withstand any load they have to. Reading multiple user testimonials we came to a conclusion that Hoops Elite Max Air Team backpack is certainly a durable product. This item comes in a variety of colors and it looks great. A modern design with minimalist details perfectly complements the shape of this bag. We really like the approach designers took here and especially the way this bag looks when it is completely stuffed. Usually, sports bags look bulky when stuffed, but this one really does not. It may sound silly but that really adds to the overall quality and impression. This is one of the more expensive backpacks we tested, but it is still not un-affordable. When you think about it, something is expensive only if you don’t get enough value for your money and that is most certainly not the case here. 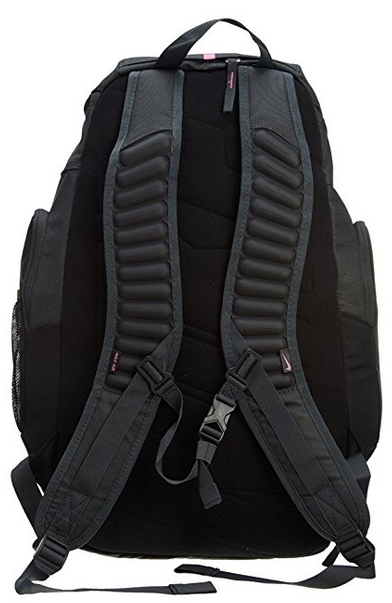 You will hardly find a backpack of this quality, with great looks and excellent usability, cheaper than this one. But for a price tag of just under $100, you expect it to deliver on all the promises and we can confirm that Hoops Elite Max Air Team does. If you do decide to get yourself one, it would be one of the smartest buys you will ever make. Hundreds of users who gave it an average rating of 4.8 stars certainly feel that way.